BRANDON STONE, Branden Grace, four-time Major champion Rory McIlroy and 2017 Masters champion Sergio Garcia, do they ring a bell to your ears? Well, for the uninitiated the above mentioned are all internationally recognised Golfers who will amongst others, tee off at the 2018 Nedbank Golf Challenge. 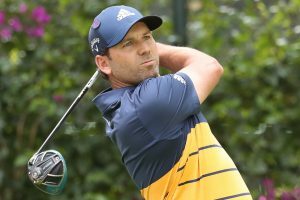 Draw card Sergio Garcia, will feature in this year’s NGC at Sun City from Nov 8 to 11. Another South African George Coetzee joins the list. The NGC hosted by Gary Player is one of world golf’s most renowned tournament, having its debut in 1981 that offered the richest prize money in the history of golf of $1 million. Draw card Garcia, after hiatus, returns to this auspicious tourney for the first time since 2013 – the penultimate Rolex Series event on the European Tour’s Race to Dubai. “I am really looking forward to returning to the Nedbank Golf Challenge later this year,” said the 14-time European Tour winner. “It’s such a huge event with a great history and some unbelievable champions on the trophy, and I am proud to be on that list as a two-time winner. “Obviously I came close last time out in 2013 and it was disappointing to come up just short but at the same time I can only take positives from that final round. The Spaniard (38) faces stiff competition from SA’s double Bs (Brandon and Branden), and other string of competitive Golfers over four days under the blue skies of Sun City. Yes, we also expect rain- a sign of good deeds. “We are delighted to welcome back 2017 Masters champion Sergio Garcia, who is a great friend of the Nedbank Golf Challenge hosted by Gary Player. He is a two-time winner of Africa’s Major and on both occasions beat South Africans to his titles in thrilling play-offs. He now has the opportunity to become the first European golfer to win the Nedbank Golf Challenge three times and will certainly be a crowd favourite at Sun City,” says Anthony Leeming, head-honcho at Sun International. The complete line-up for other players will be made soon. Host venue: Gary Player Country Club- Sun City. It begins from November 8 to 11 2018. NB. Very disturbing is the non participation of the North West Tourism yet again in this tourney that would, in economical sense increase tourists in the province and add that much needed financial spin-offs.